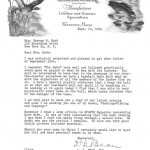 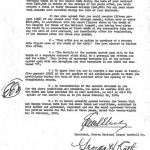 In this section, we showcase a number of agreements. 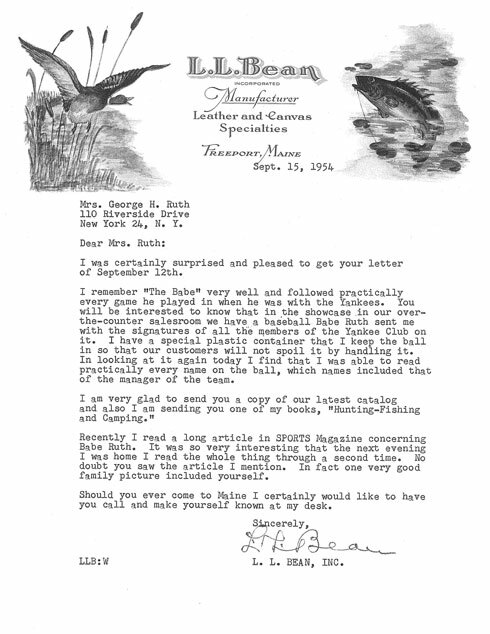 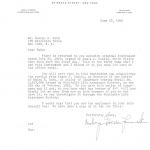 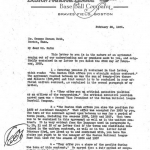 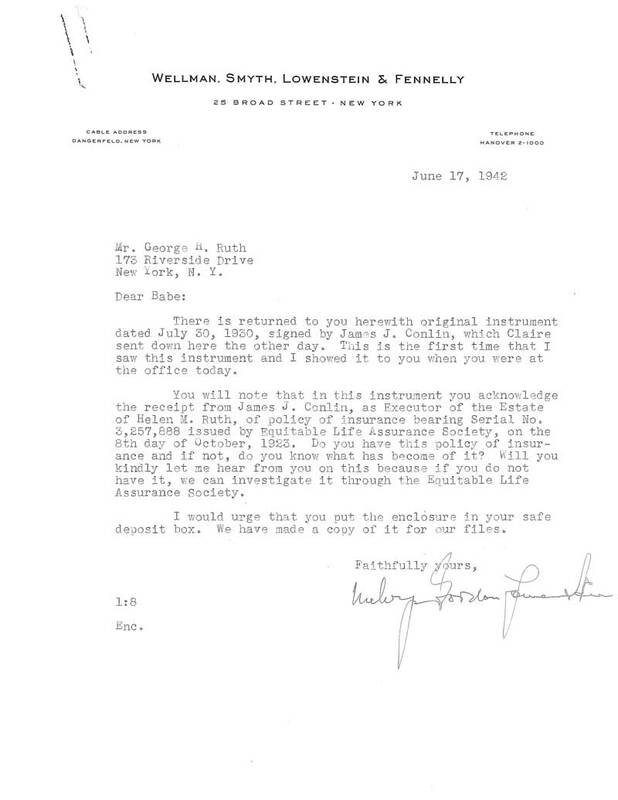 The contracts range from advertising opportunities, the settlement statement from the estate of Helen Woodford, Babe’s first wife, as well as the highlight of this part of the display – an agreement between Babe Ruth and Emil Fuchs, President and owner of the National League Boston Braves. 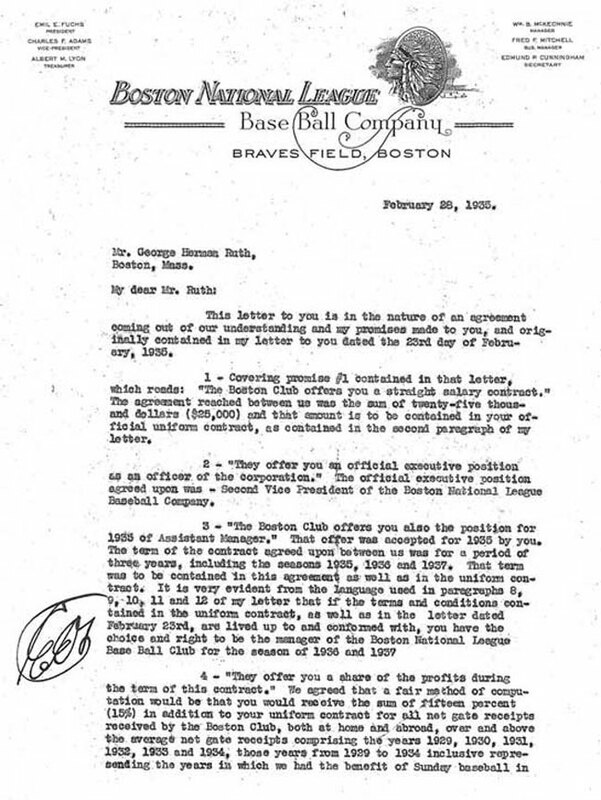 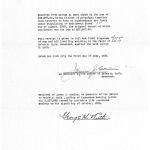 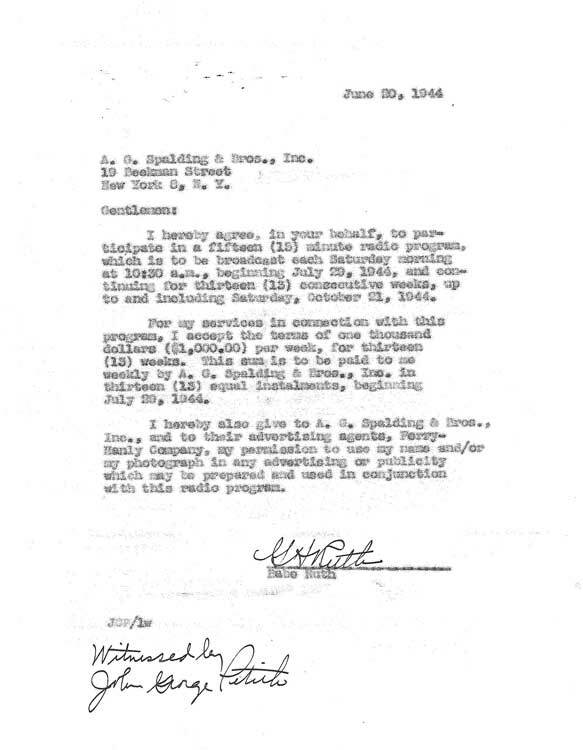 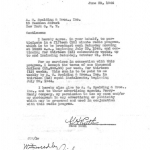 The agreement lists the terms upon which Babe Ruth with join the Boston Braves for the 1935 baseball season. 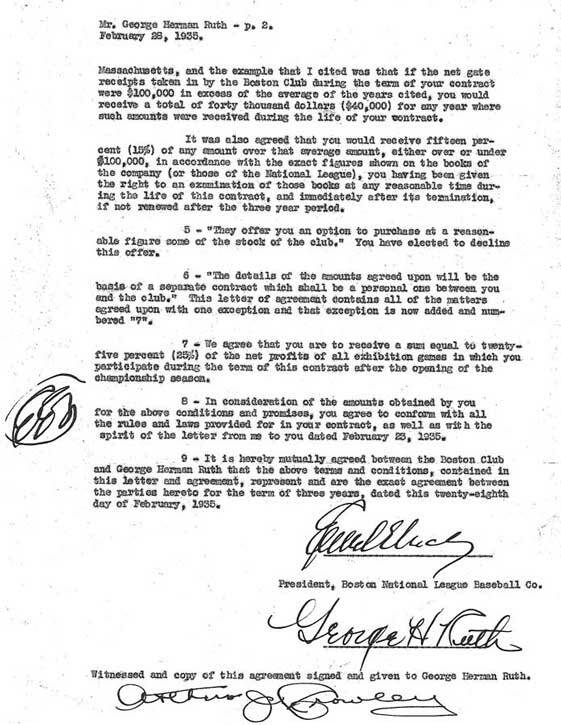 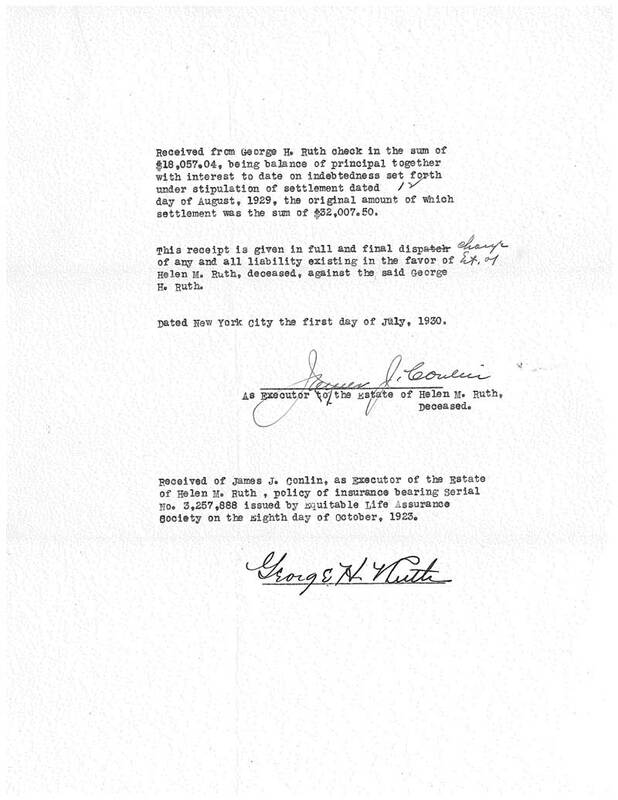 The contract was dated February 28th, 1935 and signed by both Babe (with his formal name, “George Herman Ruth”) and Emil Fuchs.